The Rolex Submariner is without a doubt one of the most recognizable wristwatches in the world. To many (myself included) the very word “watch” conjures up an image of the iconic diver in my mind. Furthermore, the timepiece has evolved over the 60 years since its inception from a dedicated tool watch into a fashionable accouterments for the well dressed man– and far more have found themselves on the wrist owners clad in a business suits instead of wet suits. Since its introduction in 1954, the Submariner has become the prototypical luxury tool watch, spawning a number of variants from within the Rolex house, as well as countless knockoffs and fakes from third party manufacturers worldwide. While the Rolex Submariner (or any Rolex, really) was never really designed to be an “affordable” watch, prices on current versions are truly substantial; a non-date steel model runs about $7500 and a steel date version is $8550. Many enthusiasts who lack the means to purchase a brand new model have turned to pre-owned models, which generally offer a substantial saving (and arguably better looks for those who aren’t fans of the latest Oyster cases, or ceramic bezels). In my opinion (wait for it…), the best way to go when it comes to a Rolex Submariner is to go with a vintage model (…surprise!). That said, vintage Submariners are no longer the screaming bargain they were a decade ago. Respectable vintage pieces start around $6000, and new records are seemingly being set every few months for the highest prices paid for the rarest of references. 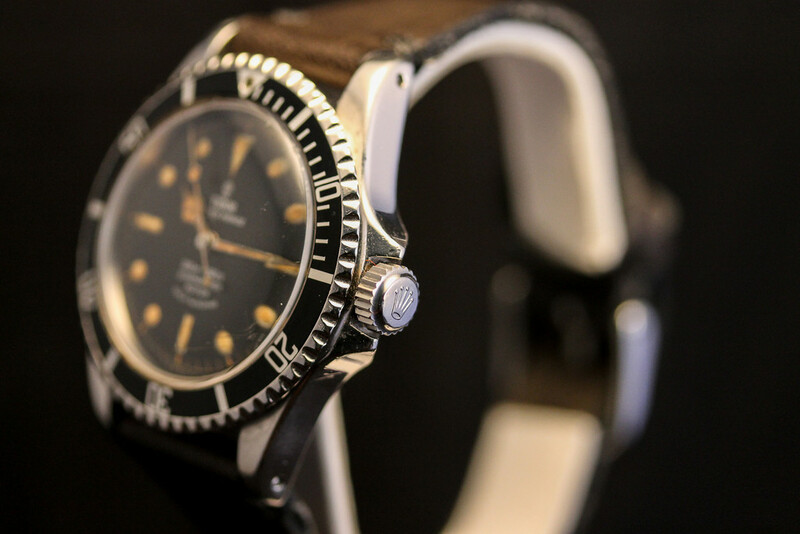 Needless to say, this makes the point of entry into vintage Submariners daunting for the beginning collector on a budget, turning many away from their quest entirely – or worse, into the arms of a willing knockoff, Franken, or fake. Alternatively, there are a multitude of “homage” brands that manufacture budget timepieces with design cues lifted from vintage Submariners, but naturally lack the construction and pedigree of the real thing. I won’t sling mud at any of these brands, but I will say this: If you can’t afford the genuine article, at least put your money towards something respectable. 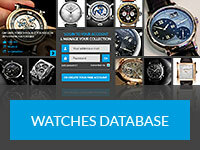 Fortunately, there is an entirely respectable and genuine alternative to the granddaddy of Rolex sports watches that checks all the right boxes and has a growing market all its own. 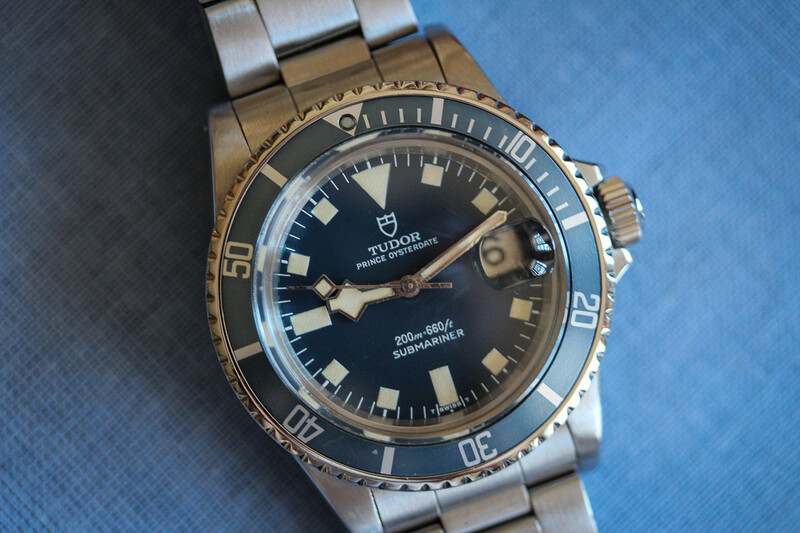 The Tudor Submariner. Tudor was introduced in 1946 by Hans Wilsdorf, Founder of Rolex SA, and was marketed specifically to be the budget-oriented brand from Rolex. From its inception, Tudor shared manufacturing and many of its components with Rolex, but utilized movements sourced from third party suppliers instead of Rolex’s in-house versions to save production costs. 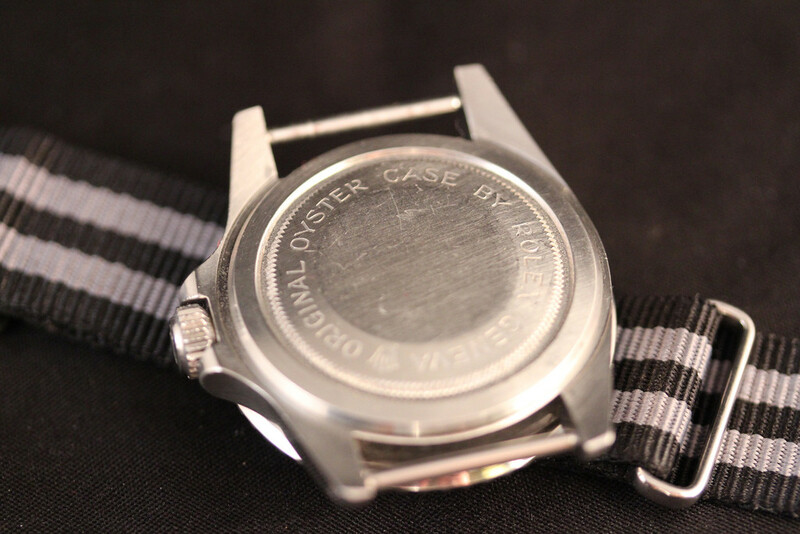 Tudor watches were often very similar in appearance to Rolex (due mainly to the Oyster cases) and often used Rolex stamped crowns, case backs, and bracelets. Such was the case with Tudor Submariners. 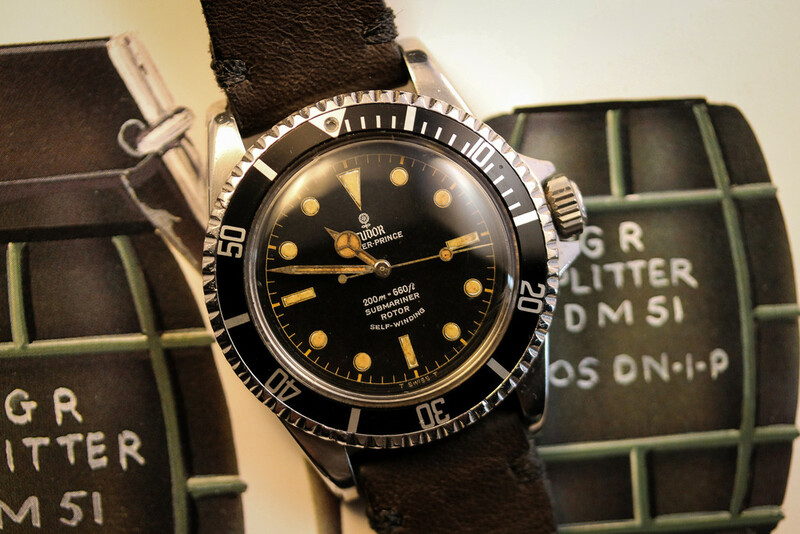 Since the introduction of the earliest model Rolex Submariners in the 1950s, Tudor was also manufacturing and selling a series of diving watches with the same nomenclature alongside. From the earliest no-crown guard models through the 1990s, Tudor Subs have been there every step of the way, using the same architecture as their big-brother, yet generally overlooked by the greater collecting population, and many were lost to the ravages of time, uncared for and discarded in bulk – no doubt due to the lack of the inherent value deemed from Rolex’s unfaltering brand recognition. During the vintage Rolex sports watch boom of the early 2000s, collectors still didn’t really bother with Tudor, and attention to the brand (and subsequently values) have only recently really begun to climb. 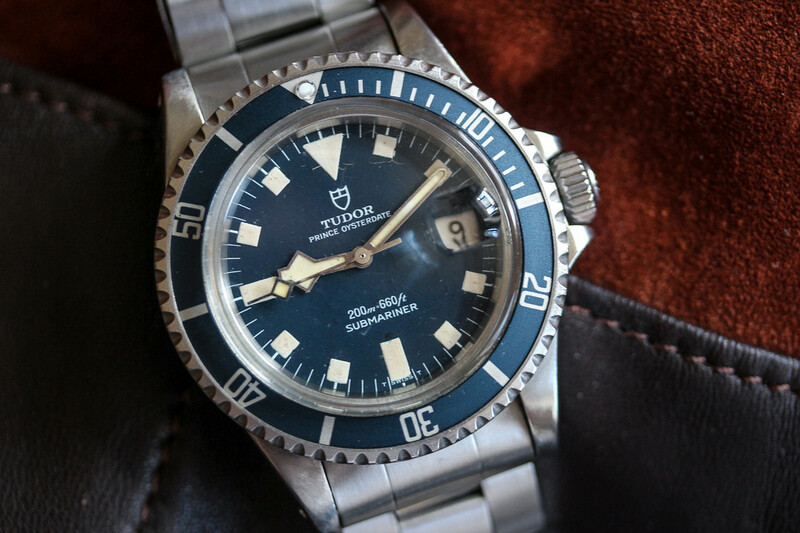 This is due in part to Tudor’s recent return to the US Market after a 10 year absence, as well as an increased appreciation for “alternative” vintage wristwatches in general throughout the collector marketplace. While it isn’t the earliest reference Tudor Submariner, the 7928 was the first model to be produced in noteworthy quantities, and was the Tudor counterpart to the iconic 5512/5513 no-date Rolex Subs. The 7928 featured the early Tudor “Rose” logo, whereas later models switched to the Tudor Shield logo still being used today. The logo and dial printing on the current Tudor Heritage Black Bay is a nod to the 7928 series Submariner. Mirroring the Rolex models, early 7928s featured matte dials and Gilt printing, and can even be found with Gilt chapter rings and PCG (Pointed Crown Guard) cases. From a market value standpoint, 7928s run from about $4500 for a later execution dial/case to the low teens for an early execution Gilt dial with PCG. Compared to prices for the aforementioned 5512/5513 Rolexes, this is an outright steal. 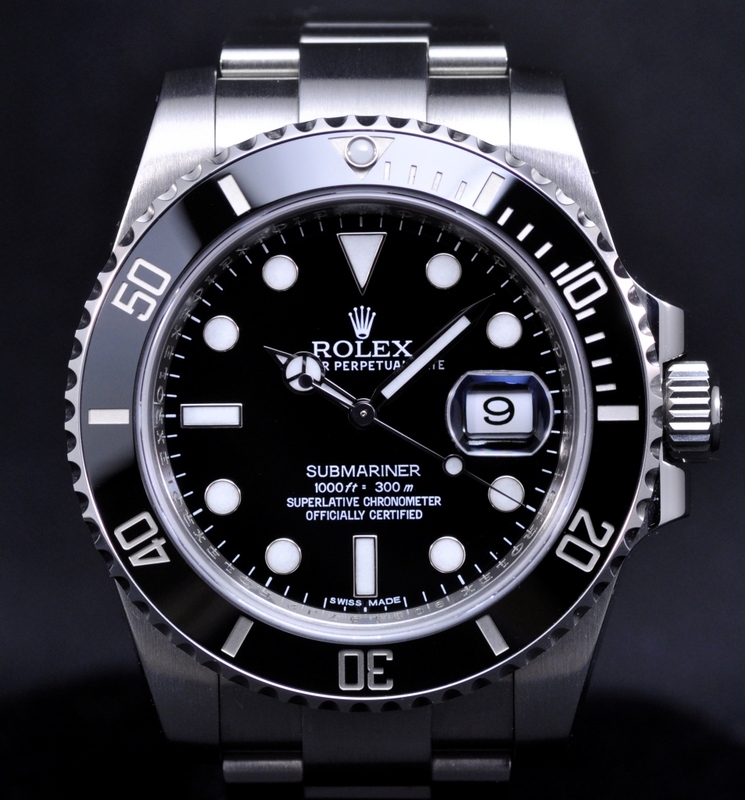 “Snowflake” Submariners are so known for their unusual hour hand shape, a term coined by collectors. These models, available in non-date (reference 9410/0) and date (reference 9411/0) are incredibly popular on the market right now. Snowflakes were available with either black or blue dials, and were powered by simple ETA movements that made them robust and reliable. As a result, Snowflakes were sold under contract to several militaries, including the US Navy and the French Marine Nationale. Snowflake Submariners command prices in the $4500-$9000 range, with non-date blue dial versions topping the scale. Military issue models can command up to $20,000 or so. As with any genuine military-issue timepiece, provenance is imperative, but if proven legitimate can be worth several times what their civilian issue counterparts command. 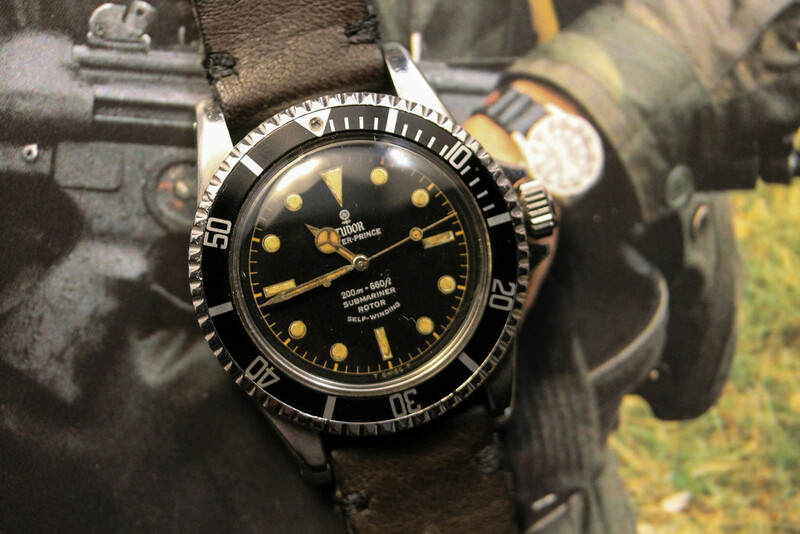 Still, $20,000 for a military issue Submariner from Tudor is an outright steal as compared to a Rolex Milsub, which often trade north of $75,000. Unfortunately, due to their intense popularity, a tremendous number of fakes and redials have flooded the market, so if you’re looking to buy, be sure to connect with a trusted seller. 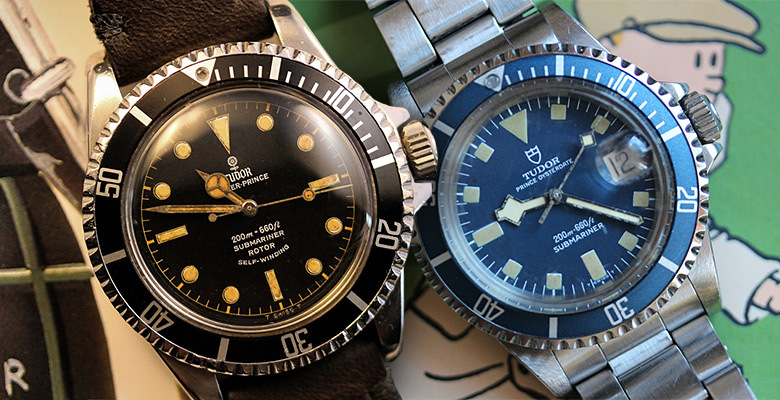 In closing, Tudor Submariners represent a truly legitimate and interesting alternative to the ubiquitous Rolex. With the same design and manufacture, it is impossible to go wrong with picking the “lesser” version in this instance. Furthermore, Tudor has been making waves in the industry with their current Heritage line (even picking up awards at the Grand Prix de la Haute Horlogerie this past fall), so by all appearances, appreciation for the brand is ever-growing, making investment in a vintage Tudor Sub a safe bet. 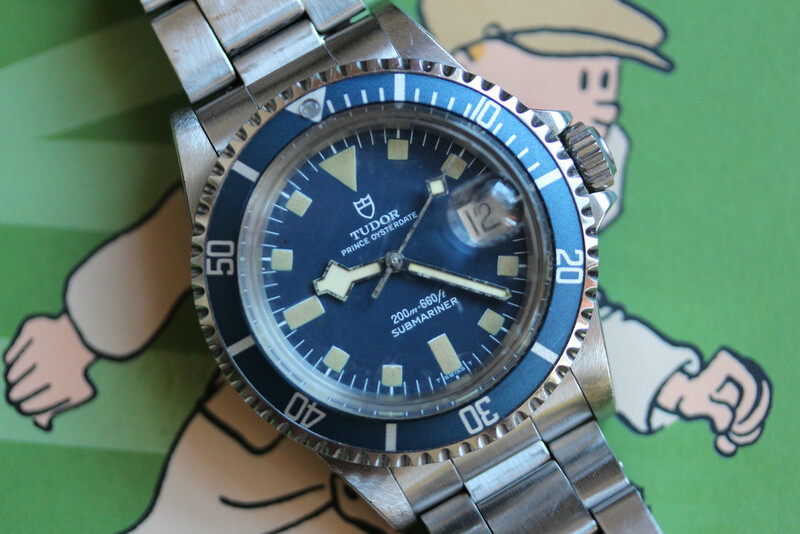 For more information about Tudor Submariner, head on over to Tudor Collector.